The Bank of Japan is almost certain to cut its inflation forecast for the fiscal year starting in April given the sharp fall in oil prices, according to sources familiar with the matter. The government’s decision to make preschool education free adds to the case for the downgrade, which will be delivered at the end of the next board meeting on Jan. 23, the people said. Looming cuts to mobile phone charges darken the picture but are hard to quantify, they said. There are no indications that monetary policy will be changed at the gathering because these pressures are seen as temporary and don’t change the picture of underlying inflation, according to the sources. The size of the downgrade can’t be gauged until board members provide their estimates at the meeting next week. The central bank will continue to closely monitor the price views of companies and consumers to see if the transitory factors affect inflation expectations, some of the sources said. 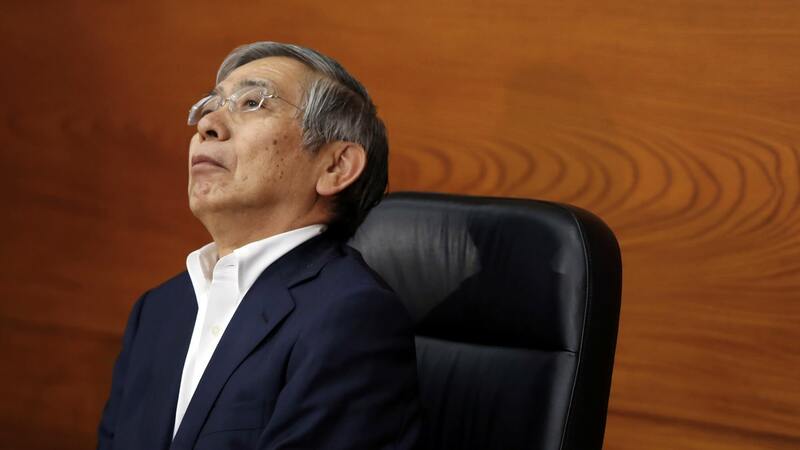 The BOJ will also consider whether it needs to reassess its growth forecast for fiscal 2019, taking into account measures planned by the government to offset the impact of a planned consumption tax hike in October, the sources said. Last month, the Cabinet Office said gross domestic product, the total value of goods and services produced in the country, is expected to grow 1.3 percent in real terms in the fiscal year, a downgrade from the July forecast of 1.5 percent growth. The planned measures, including a temporary bonus point system for cashless payments and reduced taxes on big ticket items, will support the economy, but the BOJ also needs to weigh them against risks to the global economy, according to the sources. The government estimates in its economic outlook that the free preschool education measure will cut overall consumer prices by 0.3 percentage point.